My first child is starting school next year! What does that mean for you, the parents, that your first child is starting school? It does come along as one of the most (if not the) significant change in your lives – parents and child. THIS is the first time your child will be leaving the family and other networks of loving care to go to school! Oh, and it’s best not to mention that it is for the next 13 years. Shhhh don’t tell the kid (yet). 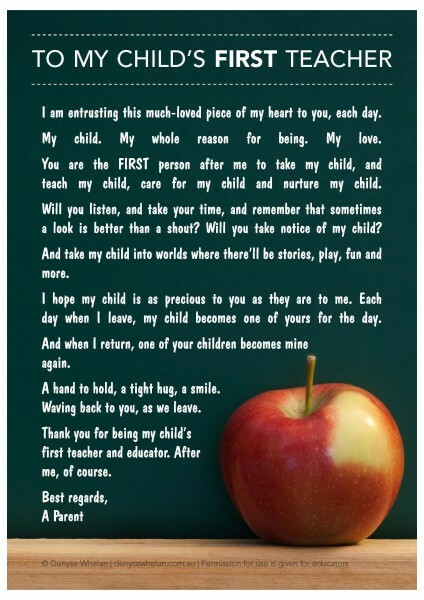 It is the letter / note I wish all teachers/child educators could see because I think it sums up what we parents ‘feel’ about this huge step and change in our kids’ lives. In fact, the fine print at the bottom of it gives permission for it to be used and reprinted. I used it to better educate the pre-service teachers at University when I was a Masters of Teaching tutor so they might understand from the parents’ perspective what it means to hand over your child to the teacher! A successful start to life at school no matter where it is, and that the relationship between home and school is fostered by a mutual concern and connection for your child. My very best wishes to you Kylie and Dave! Enjoy being part of the new world as parents of a school girl! Do you have a child starting school next year? Will this be your first child at school? How are you feeling about it? If you already have kids at school what are your best tips for newbie school parents & kids? 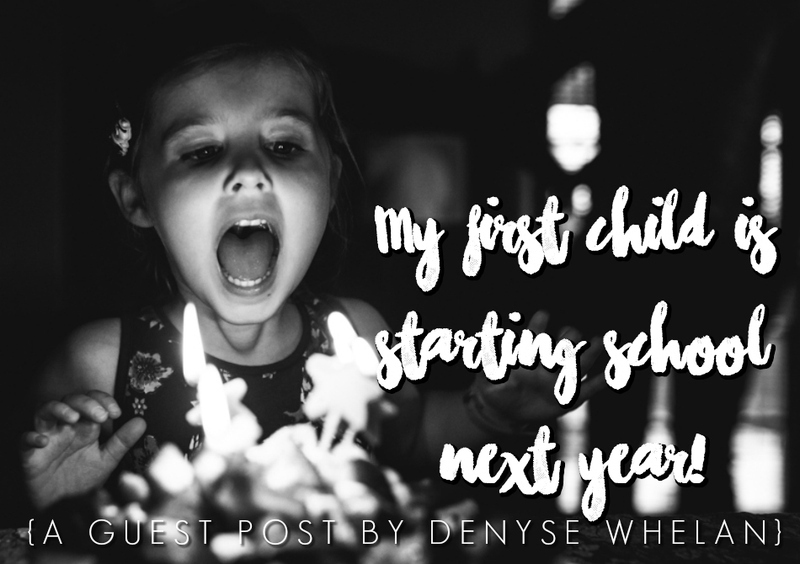 Denyse Whelan is a now-retired K-6 Australian schooling educator who has been a K-6 teacher, deputy principal and school principal, university tutor, and ESL teacher of children and adults. She has more than 4 decades of experience as both an educator and parent in the Australian schooling system. 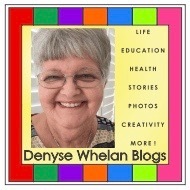 For Denyse, blogging is about communication and connection and you can find her blog here.